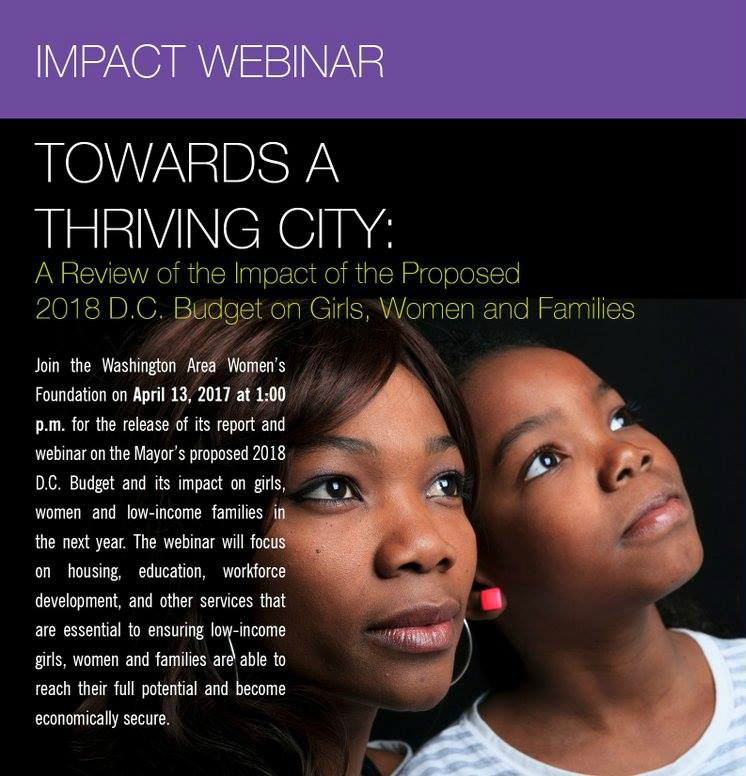 On April 13th, The Women’s Foundation released our newest report, Towards A Thriving City: A Review of the Impact of the Proposed 2018 D.C. Budget on Girls, Women and Families. The report, the first of its kind for the Foundation, provides a detailed analysis of proposed expenditures in relation to the needs of low-income girls, women and families in the City in critical areas such as housing, childcare, social supports, workforce development and violence. 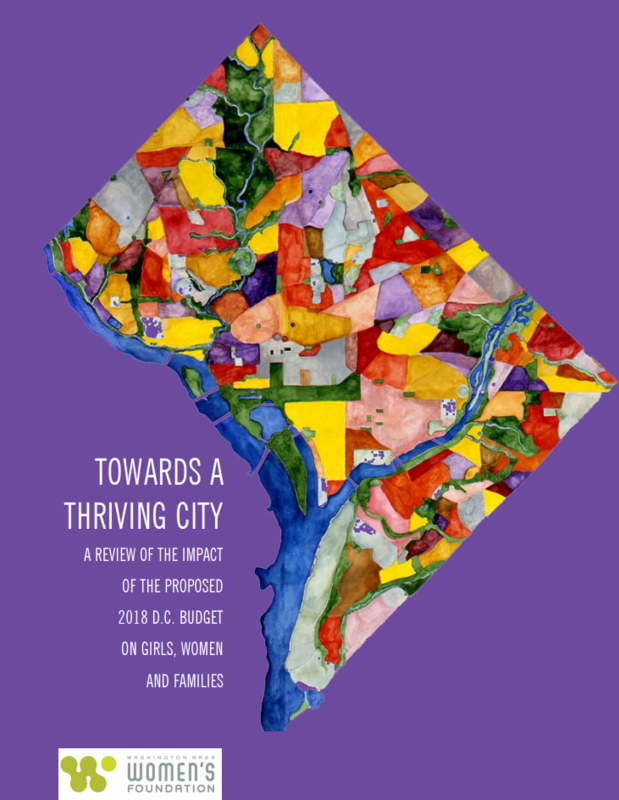 We hope that the report will be used by residents, community advocates and other key stakeholders to advocate for programs and initiatives in communities that will help to build the long-term economic security of women and families.